The girl has created a bubble with 1/3 cup of glycerin, 1/3 cup water and 1/3 cup dishwashing soap after her third psychiatrist visit. Years ago she was a perfect baby― a head full of black curls, big eyes and a wide smile. After she turned five, something went wonky with her neurotransmitters. The doctor wrote a new prescription, and the girl didn’t want to pop any pills. The bubble’s supposed to last at least for a month because of all that glycerin. The girl lives inside the bubble. It wobbles when the girl floats like a butterfly, like cotton candy. She has a crooked grin and her body behind the prism looks like an alien. She naps in a child’s pose. Every evening, the girl rolls her bubble on the porch, her horizon-bound gaze misted in the trapped air. Inside the house, her father sleeps on the sofa. He has Marlboro breath and sunken eyes; food from his last meal always shows between his teeth. He wakes up a few minutes before his shift at a convenience store. Her mother, a dry cleaner, eats and watches TV in the bedroom. She smells of kerosene. Inside the bubble, the girl can hardly hear her parent’s arguing over food or finances. Sometimes they have company. Kids come around and touch the bubble. The girl winces, rolls away towards the bathroom. Until a week ago, the girl had a name. 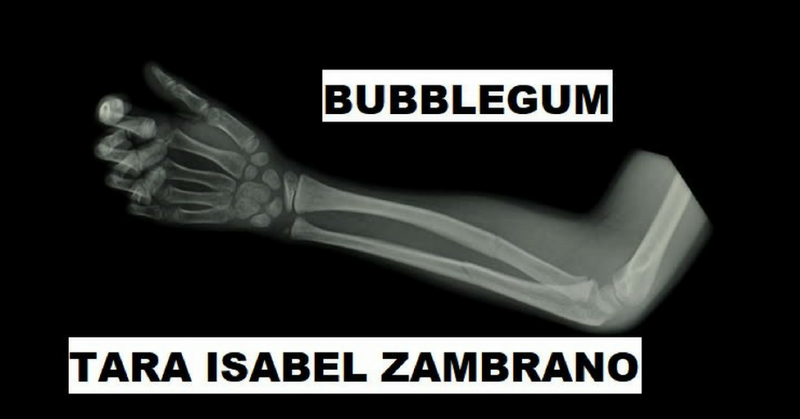 Now her mother calls her Bubblegum, the cough in her throat thick with mucus. At night, she sleepwalks towards the girl, puts on loud music and dances with her eyes closed, her tongue licking her lips like an animal craving for a treat. The girl zones out, imagines how the bubble looks from far above―a glass bead― something you’d want to pick up and watch the rocking stillness inside it. The girl tries to remember the list of words her teacher gave the last day she was in school, stories her mother never read at bedtime. She regrets not bringing the doll lying at the bottom of her toy trunk, someone to talk to. The bubble swells on the sides where the girl brushes her lips. Tastes sour. It has been a part of her for weeks―a sister now. She runs her fingers across the periphery and the bubble reflects her insides― a pair of drank-to-excess-kidneys sitting on an inactive bladder, a brain cooked by pills behind the double-doors of her eyes. She tries to catalog her organs but the labeling is muddled. Pores and follicles are simply holes, the hair ready to sprout under her arms, between her legs, is trouble. She glances at her blood-soaked heart and a peanut-size uterus, slightly twisted butterfly-shaped lungs― hollow sacs everywhere. Then she leans back, wondering if she’d create bigger bubbles or split atoms when she grows up, if she’d need to impress others to find love. A fluffy moment before she realizes her feet are glued to the inner surface of the bubble. She moves her legs frantically― the bubble elongates sideways, tapers and shrinks, but does not burst. The girl starts sobbing, tears falling, blood hammering in her temples. She hasn’t known fear. She hasn’t realized the bubble is a body― a space to hold everything that isn’t pretty. Until now. She looks down at her toes, as if trying to forget. When she brings her head up, she catches a spectrum reflecting off the edge, filling rainbows in her eyes. They gleam and gleam.